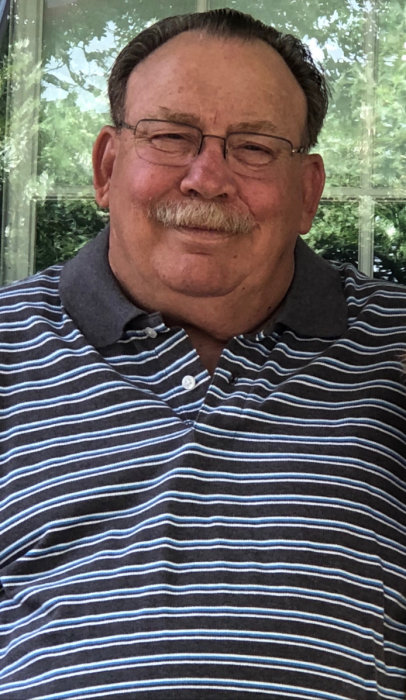 Fredrick “Fred” Dorsten, 68, of St. Marys, died suddenly at 5:09 A.M. Thursday, September 6, 2018, in the emergency department of Joint Township Hospital. He was born July 30, 1950, in Coldwater, Ohio, the son of Elmer and Laura (Borgerding) Dorsten. He married Linda Thatcher on September 1, 1993; she survives at the residence. He is also survived by his son, Jason Dorsten of Celina; by a stepson, Shawn (Amee) Lopshire of Elida; by his grandchildren: Sarah Lopshire of Minneapolis St. Paul, Minnesota; Abby Lopshire of Van Wert; by his great-grand-sons, Waylon and Weston. He is survived by his siblings: Jim Dorsten of Celina; Judy (John) Luthman of St. Marys; Phyllis (Paul) Hanna of Celina. Fred was preceded in death by his parents. He was a 1968 graduate of Coldwater High School, and a veteran of the US Navy. He retired from Goodyear Tire and Rubber Company in St. Marys after 40 years of service. He loved spending time with his grandkids, fishing, hunting and watching NASCAR. He loved fast cars, and was a member of VFW Post 9289, American Legion 323, and Eagles Lodge 767. He grew up in the Catholic faith. Funeral rites will be held 10:30 A.M. Monday, September 10, 2018, at the Miller Funeral Home, 1605 Celina Road, St. Marys, Deacon Marty Brown, officiant. Private family burial rites will be held at Gethsemane Cemetery, St. Marys. Friends may call from 2-5 P.M. Sunday at the funeral home.